So, yah, in more positive news, I’ve also given my blog a little face lift with a new theme (Nuetra). I wanted a style that’s cleaner (embracing the white space) and more minimal but still with a punch of color. Hope you approve….well, actually, I approve so that’s all that matters…sorry…I am a sassy Scorpio. I am hooked on Swiss Miss’s blog and am now a regular follower. Her design work and observations/finds are darn right dope. This lady is a true inspiration, as many peeps across the globe agree according to her blog stats. 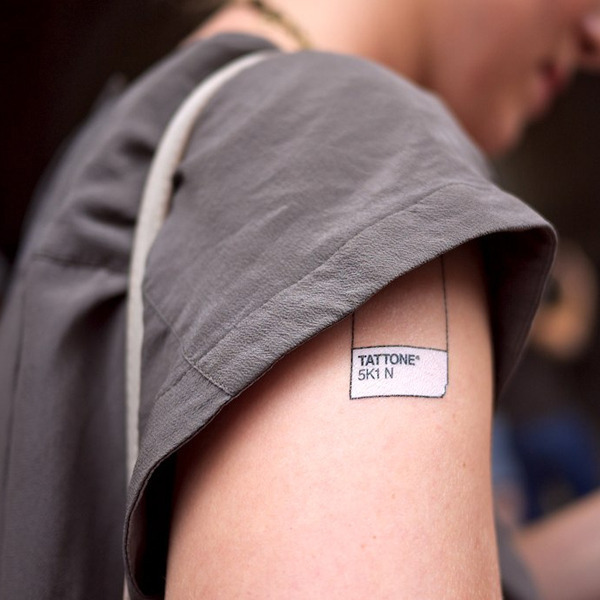 So Swiss Miss, among her many endeavors, started a temporary tattoo site – Tattly. It’s clever, fun, and I pretty much want them all. I want to cover my whole body! And then when I freak out that they aren’t my style any more, I can just wipe ’em away. 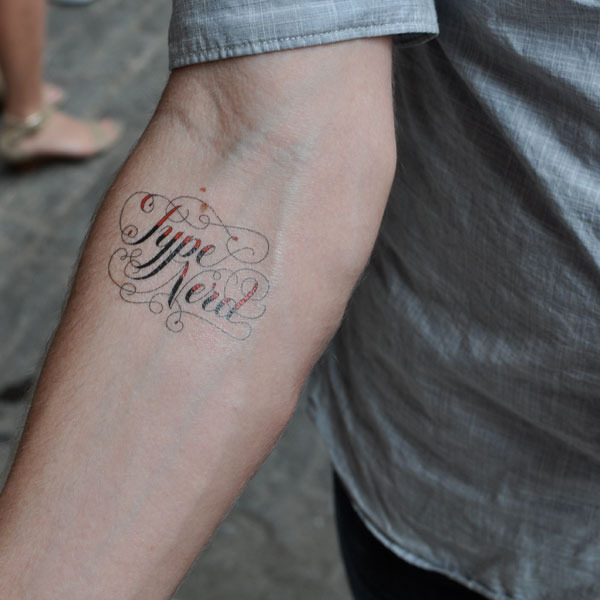 In honor of Typeface Tuesday, I’ve pulled a few type tats from the site. 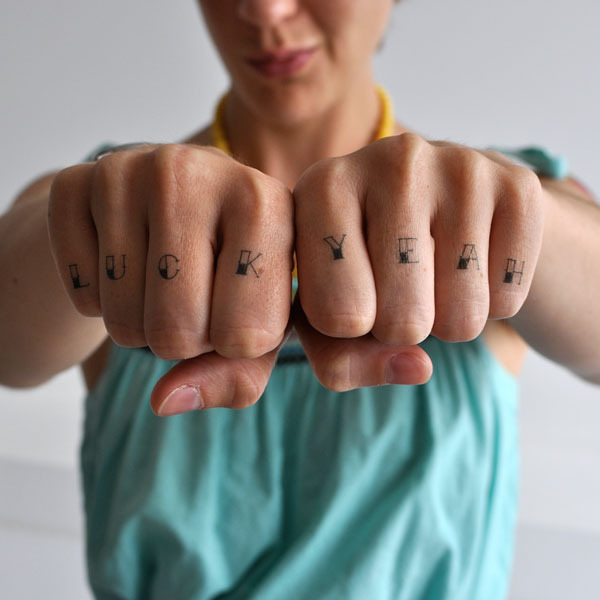 I’ve got to say, I really love the idea of typography on one’s body if done well, as these are. Temporarily that is.